Dissatisfied by the production and publishing policy of NISRO "Dnevnik", Obradovic and Kerac started cooperation with the publishing firm "Decje novine" from Gornji Milanovac. 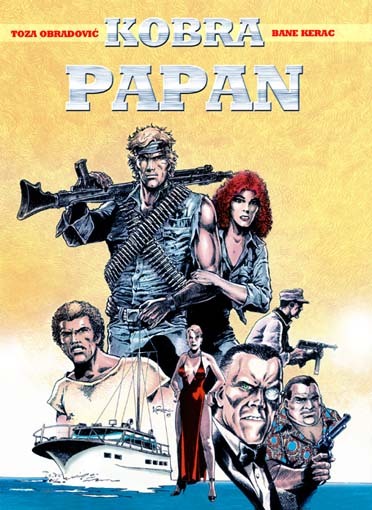 Their first project was "Cobra", comic about young stunt man who has adventures all over the world. Than 1979. Kung fu skills were on the top of popularity (Bruce Lee, Iron Fist, Shang-Chi etc.) 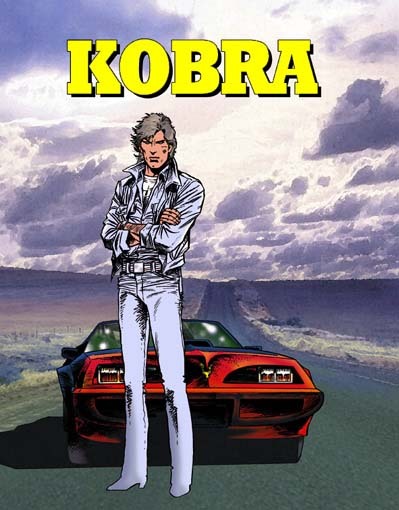 Cobra had some extra karate abilities which he had not lost in all the episodes, but they became less expressed while the seriousnes and quality of the comic had grown. The seriousnes is connected to the approach to work, because that word is hard to be connected to Toza and especially Bane. In a first few episodes, Cobra deal with more or less usual villians. 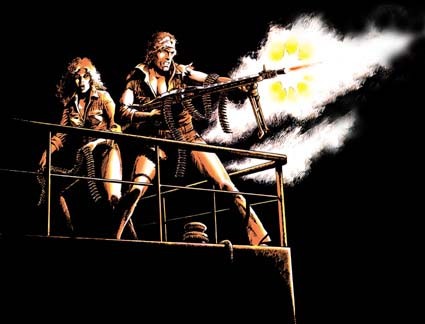 A bit of Mafia, some drug dealers, blackmailers and murderers, even Marvel-style negative creature called War Queen. In the nineth episode, stories and plots become real ones: the adventure filled with action with careful work out of the carachters. 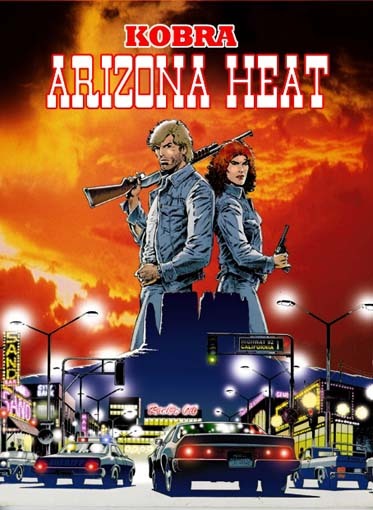 From Cobra -BOOM, BANG hero, becomes the real man, out of flesh and blood. Final transformation Cobra has in the episode HELL ANGEL where he got a troublemaker shaped like simple (but not silly) Cindy Williams. Their "nag-nag" relationship had pushed the story into background and even more encreased the interest of the audience, which was already attracted by foolich onomatopoeic sound and weird dialogues. 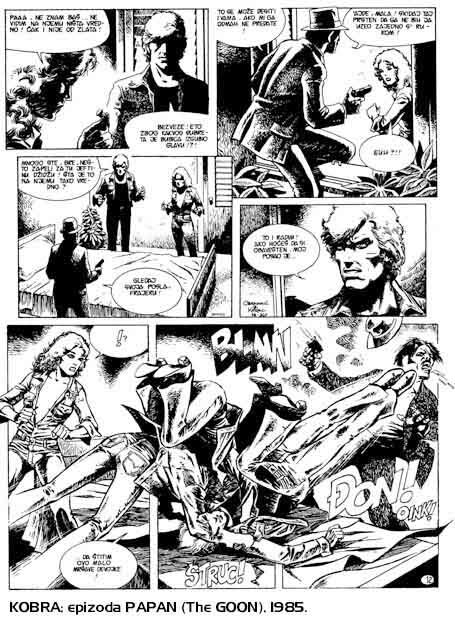 Comic "Cobra" used to be, speaking about popularity, unbeatable in its main publication "YU STRIP". It was pushed aside by the appearance of the roofclimber called Cat Claw, because the genre used for her creation let her authors to show all their abilities.